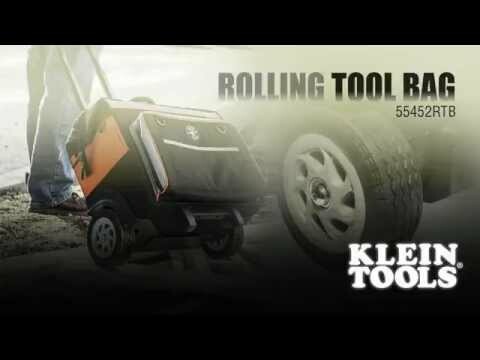 Cart your tools around the jobsite with ease in Klein Tools' Tradesman Pro Organizer Rolling Tool Bag. The rugged 6-Inch wheels can easily handle rough terrain. This tough bag can store up to 100-pound (45.4 kg) of tools and materials inside, and another 100-pound (45.4 kg) stacked on top.